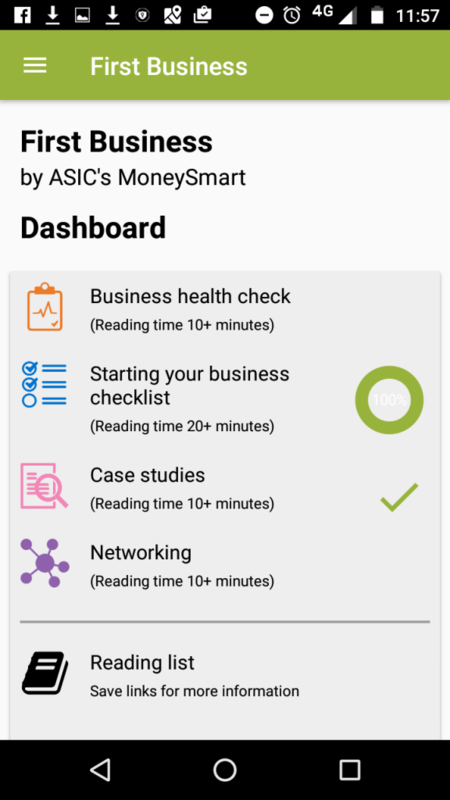 First Business is one of the latest apps in ASIC’s lineup. 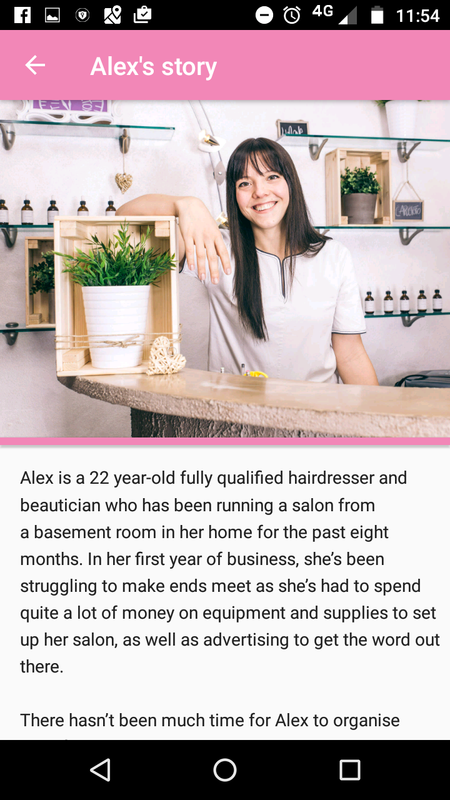 As the name suggests, it was made specifically for people thinking of starting their first business, as well as those who may have taken the plunge a bit too early. The intended audience is younger people thinking of going in to business for themselves, as a sole trader, or with one to two employees. We’re talking café owners, tradies, hairdressers, photographers, boutique owners, and online store operators. In other words, the first-time entrepreneurs that the stats say are most likely to fail without the right start[i]. 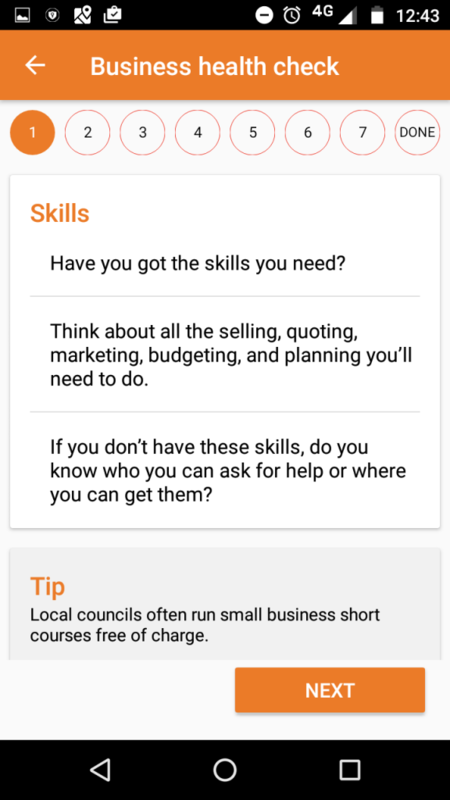 This app is a handy simple resource for clients, customers and prospects who are thinking of starting their own business, or whose partners are embarking on that course. It’s designed as a bit of a preparation checklist, allowing you to tick off the essentials as you go, so you don’t feel overwhelmed trying to keep track of all your obligations and everything you need to have sorted before you get started. The first thing you see when you open the app is the dashboard. It’s got a nice clean look; you can see all the content from one view. No stacking and no submenus mean it’s harder to miss something important. Next to each dashboard item, there’s a tick or a progress wheel that tells you how far along you are. There are four items to work through, but you can save any unread stuff to your reading list (also on the dashboard) for later. 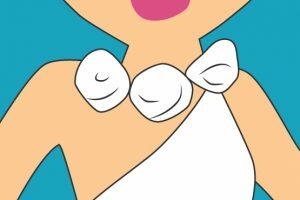 Are you really ready to go in to business? 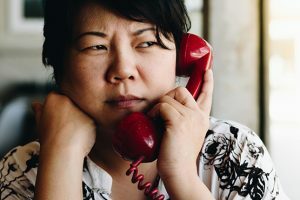 The business health check is full of questions you should ask, but that you might not have asked yourself yet. First off the block, it makes you question whether you’ve got the skills you need – not just for the core product or service, but for basic business management. 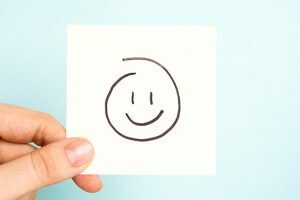 The business health check points to a number of handy authoritative outside resources you might not have thought to check for. 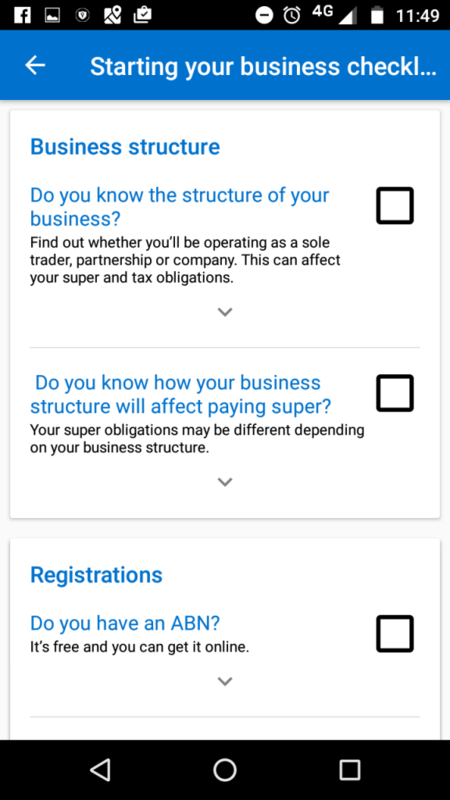 For example, on that first business health check screen, you can click through to a government site that helps you search all the free and cheap business courses run by local councils around Australia. This section is all about the basic stuff you need to organise before you start doing business. 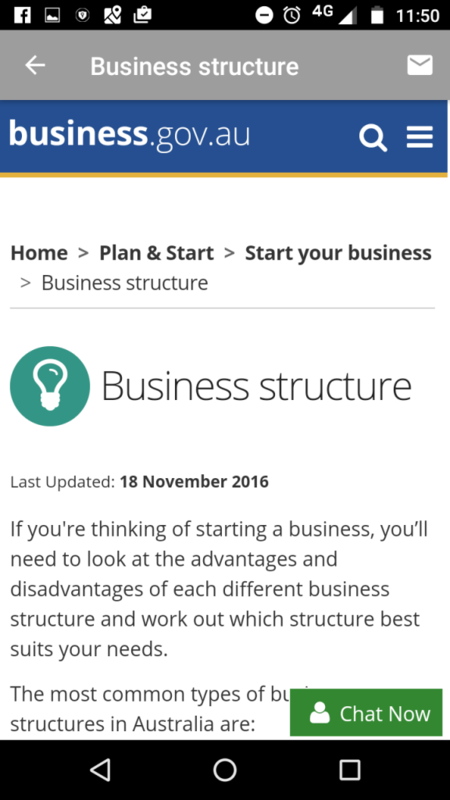 Some of it is pretty simple, such as getting an ABN and registering your business name. Do you know the local, state and national laws and regulations that apply to your business? Have you thought about getting permits to put up signs (even a simple A-frame) or hand out flyers? Are your logo/s, colours and branding protected? The app prompts the user to think about all these things. 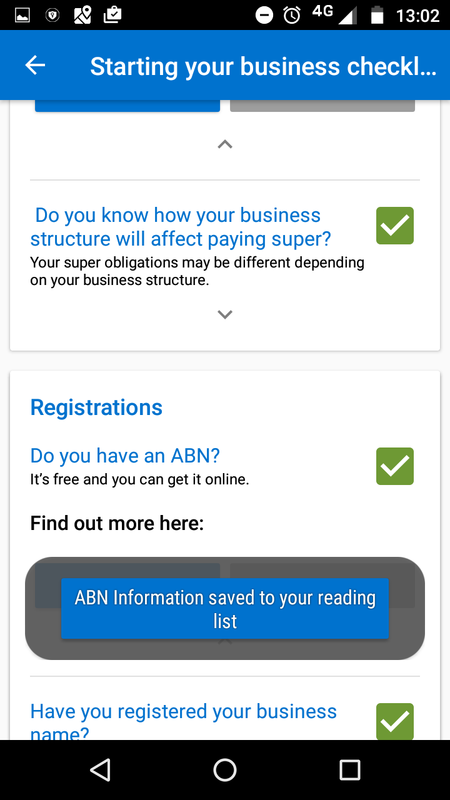 These ‘read now’ buttons basically take you through to the relevant website (usually a government site), but they don’t close the app and open your browser – it’s all within the app. This makes it easy to pick up where you left off when you’re done reading the official info. As with the business health check, there’s a fair bit of satisfaction in getting the little wheel to read ‘100%’. One of the awesome things about having mentors or friends who’ve started their own businesses is that you can learn from their mistakes. 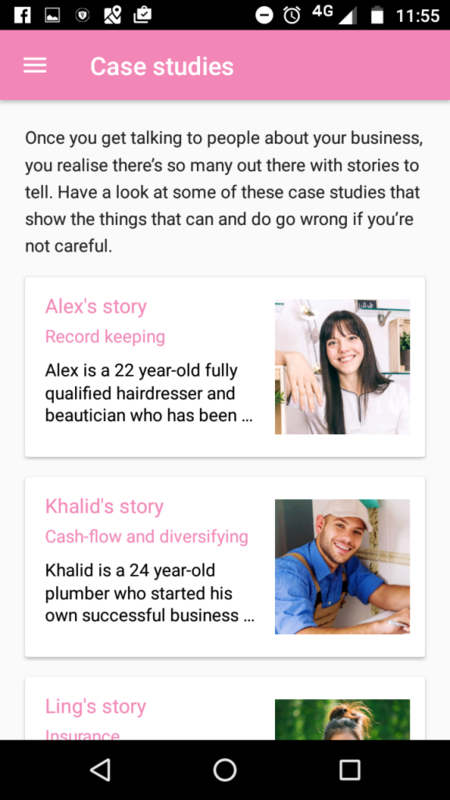 That’s what the Case Studies section of the app really captures. Each of the people described in the case studies has mucked something up along the way while starting their business. Without too many spoilers, some of it (like record-keeping) is simple enough, but some things (like insurance) can be more complicated, depending on the nature of the business. Reading the case studies lets you put what you’ve read in the first couple of sections in to real life scenarios. In other words, it’s good for people who usually learn by doing, and have trouble synthesising information. The case studies are actually pretty quick to read. They also seem to be based on realistic, everyday situations. Ask any business mentor, coach or author, and they’ll tell you that one of the most important things you can do for your success is to build your network. This doesn’t have to mean going to fancy events and swapping business cards. In this day and age, it can mean anything from joining a professional association to building a following online. Networking can be even more powerful than doing advertising and ‘push’ marketing. And when you’re just starting a business, and have a limited amount of money to spend on ads, networking is even more important. The networking section of the app walks you through some of the different options that are available to pretty much anyone, no matter their line of work. It’s easy to pick one or two of them to pursue right away, and save the rest to your ‘read later’ list. Estimated reading time seems pretty accurate for an average user. However, if you were to go through and actually read the content in all the available links, it would take you a lot longer than stated. That’s possibly why there’s a ‘read later’ button, but it’d still be good to know. Easy to skip past content, so might not be ideal if you’re feeling lazy and don’t want to hold yourself accountable. Money101 were proud to be part of the production team for this app.